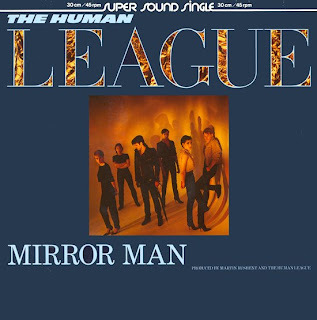 ''Mirror man'' was a 12'' single released back in 1982. But this is not reason for this post. Reason is on B side of this single. I made this crossover couple of months ago for our friend Niels over there on the-black-hit-of-space who kindly asked for another contribution for his fan mix of the month. Remix was published there few days ago and now here also. I used original and instrumental version (both under 4 min) to create this 9:19 min long crossover.